These little guys look wonderful! I have been wanting to prepare baby bok choy and have been stalking the produce section in search of them. Seems like they are never there. Now I can't wait till I find them! Great series, I'm lovin' it. 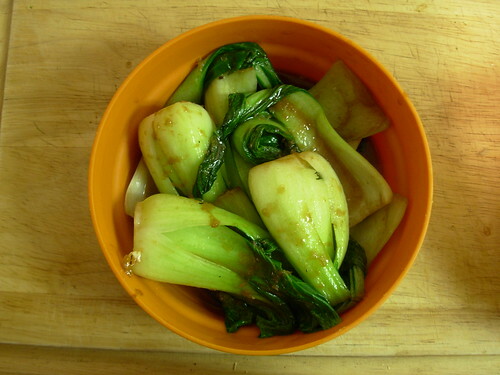 You can probably do this with regular bok choy too! I'd just cut the leaves away from the stems and then put the stems in before the leaves so they cook a little longer.